Garlic Herb Two Ingredient Dough Bagels recipe requires no yeast and no waiting for the dough to rise! These chewy bagels are perfect toasted with cream cheese for breakfast or fill them with meat and cheese for a sandwich at lunch. 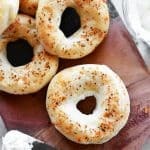 Two ingredient bagels have become wildly popular because not only are they easy to make they are low in Weight Watchers Smart Points since plain, fat-free Greek yogurt is one of the zero points foods on the freestyle program. 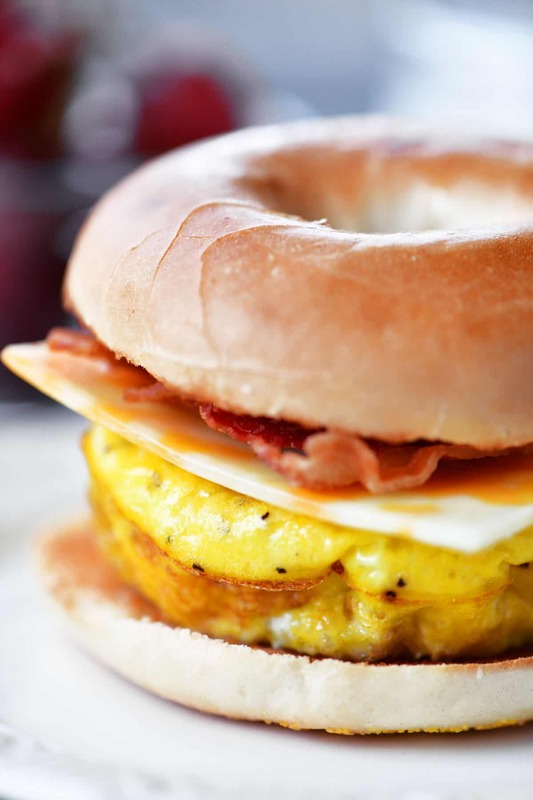 When I heard about two ingredient bagels I felt a little cheated by the name because although they technically only have two ingredients, one of the ingredients is self-rising flour which is a combination of flour, baking powder, and salt and that is three ingredients. Also, if you want to give the bagels a crustier, golden top the bagels need an egg wash as another ingredient. And of course, we all love bagels with flavor so the garlic herb seasoning brings the ingredient list up even more. But in the end, I decided I didn’t really care about the exact number of ingredients. These delicious garlic herb bagels are so easy to make with no waiting for the dough to rise and no boiling the bagels before baking. I’m going to keep making them no matter what they are called! Cut the dough ball into six wedges. Roll the dough wedges into long ropes. Join the ends of the rope together to form a bagel shape. If you want to make two ingredient bagels, this is where you would stop and bake the bagels. But if you want them to be garlic herb bagels, continue to step six. 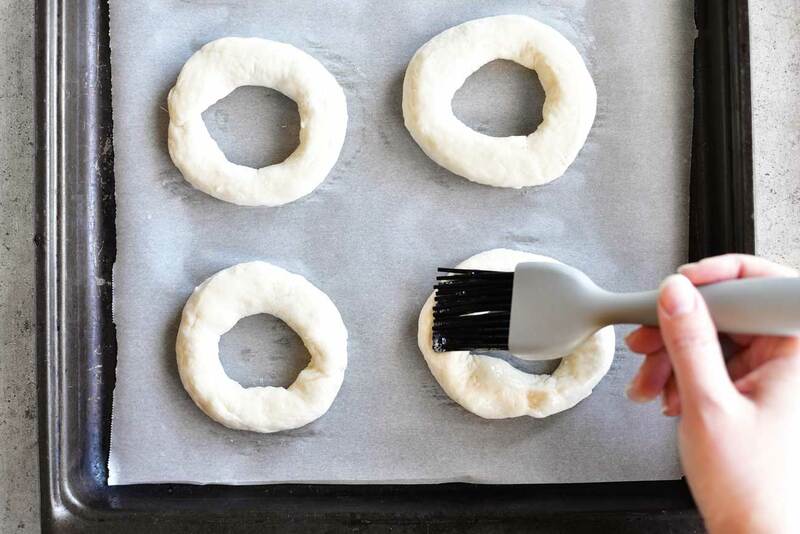 Brush the bagels with a beaten egg white. Sprinkle the bagels with garlic herb seasoning. Bake at 475˚F for 12-14 minutes until golden brown. Slice the still warm bagels in half and spread with cream cheese. Or allow the garlic herb bagels to cool. Then, slice and toast before spreading with cream cheese. 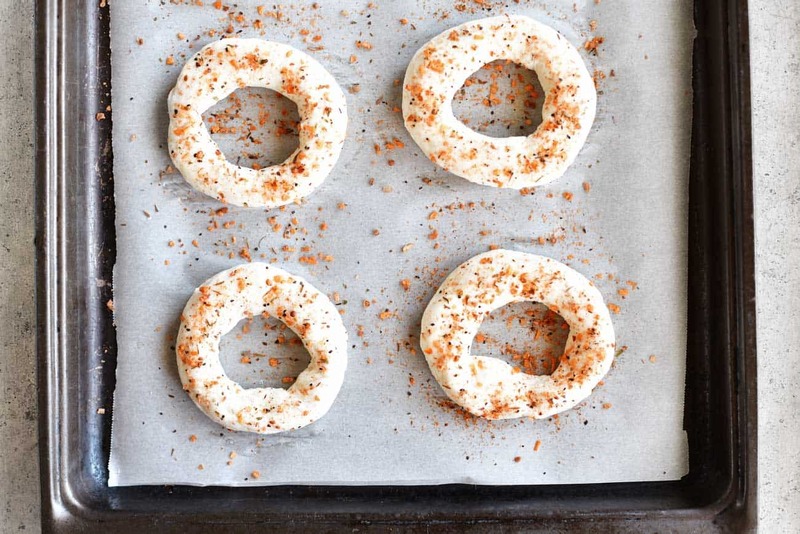 5) Can I make these two ingredient dough bagels without a stand mixer? Yes! Stir the self-rising flour and Greek yogurt together until combined. Turn it out onto a floured surface and knead until smooth. 6) I don’t have a dough hook for my mixer. 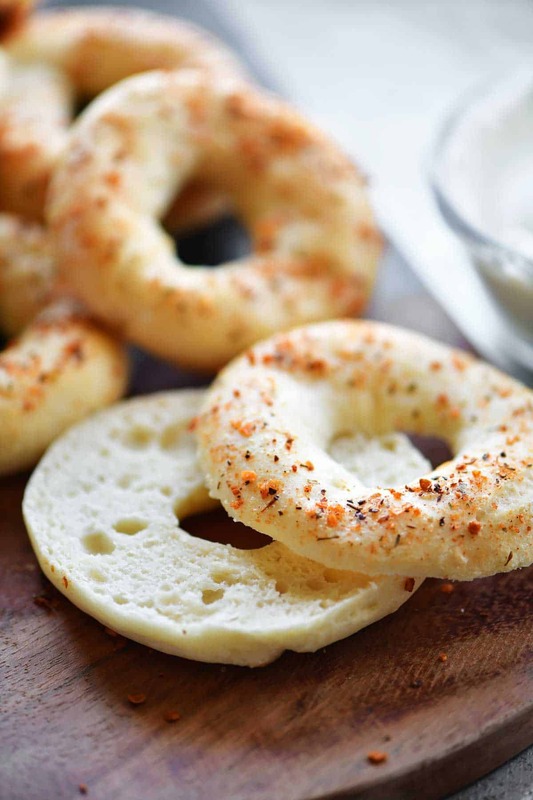 How can I make the garlic herb two ingredient bagels dough? 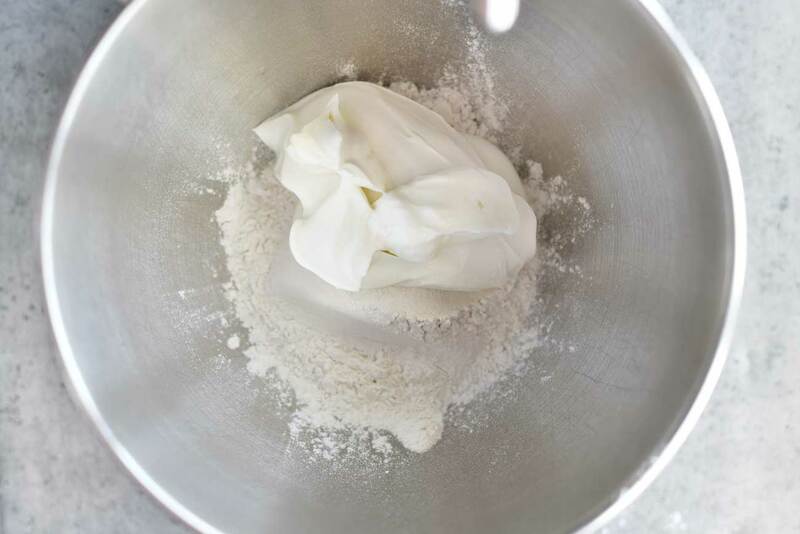 Use the paddle attachment on your mixer to combine the self-rising flour and Greek yogurt. Turn it out onto a floured surface and knead until smooth. 7) What other seasonings/toppings would you suggest? 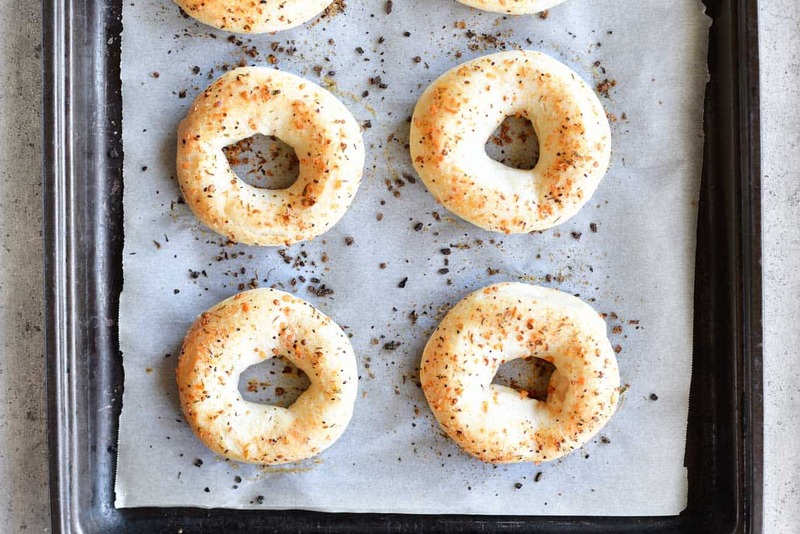 Try my recipe for everything bagel seasoning, or use garlic and rosemary, parmesan cheese, asiago cheese, onion flakes, poppy seeds, or cinnamon sugar. 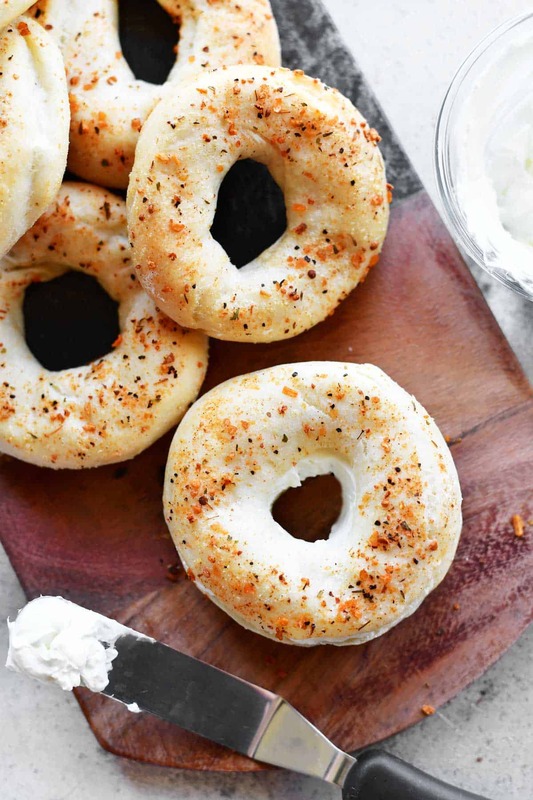 8) How many Weight Watchers Smart Points are these bagels (without the cream cheese of course)? 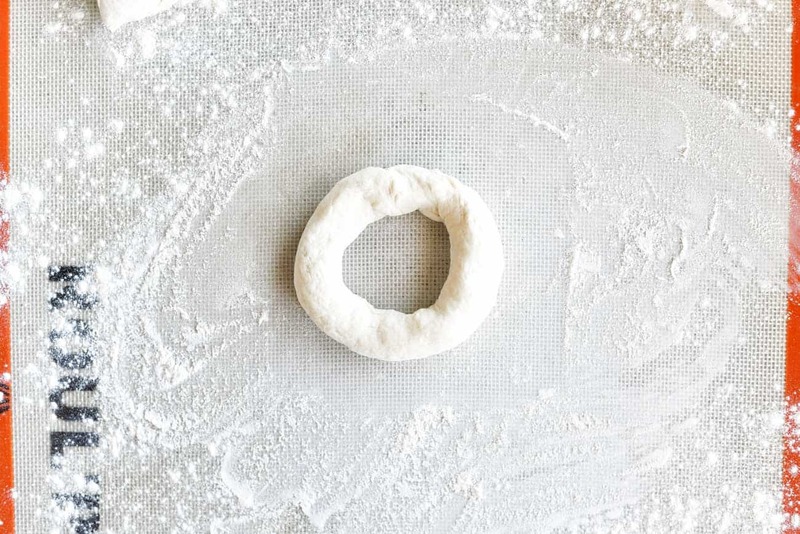 I don’t have a Weight Watchers calculator but from what I’ve read online if you make six bagels from the two ingredient dough (like this recipe does) they are 2 smart points each. This Garlic Herb Two Ingredient Dough Bagels recipe has no yeast and no waiting for dough to rise! Dough made with just self-rising flour and Greek yogurt. 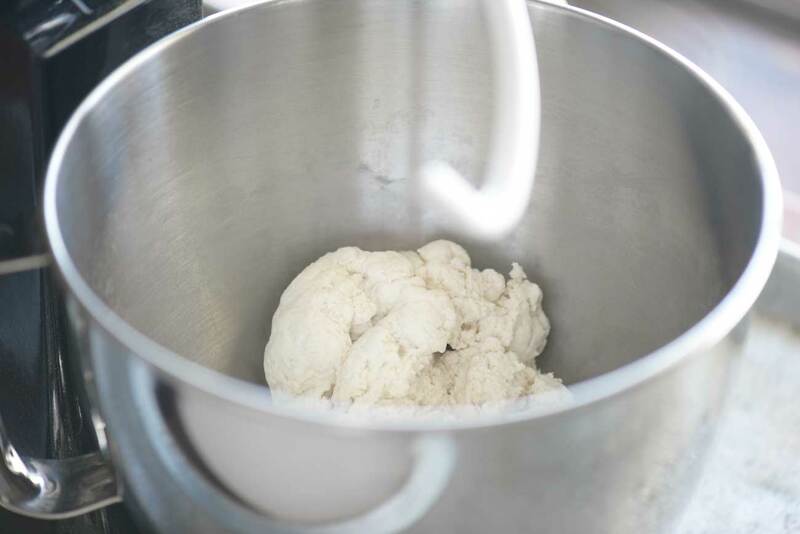 Put one cup plus two tablespoons of self-rising flour and plain, fat-free Greek yogurt in the bowl of a stand mixer with the dough hook attachment. Mix at a low speed until combined. Then, knead at a medium speed for about 3 minutes until a ball forms. Turn the dough out onto a floured surface. Sprinkle the top with flour, knead a couple of times, and form the dough into a ball. 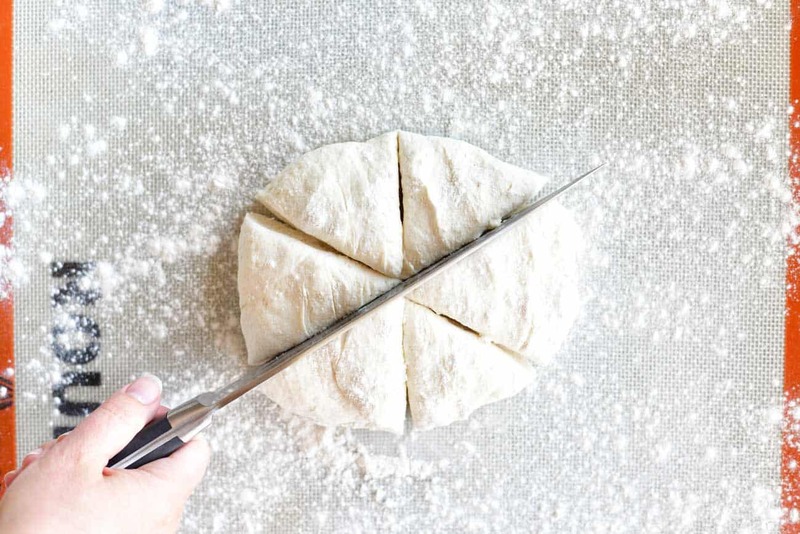 Cut the dough ball into six wedges. 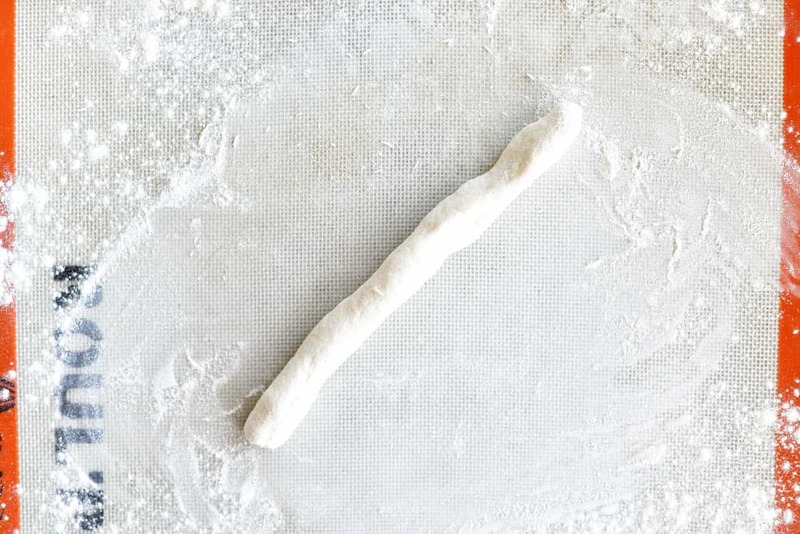 Roll the dough wedges into long ropes. Join the ends of the rope together to form a bagel shape and pinch the ends together. Place on a parchment covered baking sheet. If you want to stop at only two ingredients, skip the next two steps and go directly to baking the bagels. I’m currently doing weight watchers and do have the calculator; however, the nutritional information is missing the saturated fat, sugars, and protein in order for me to be able to accurately calculate the points. Can you please provide this information? Many thanks!!! The protein is listed above as 6 grams but the saturated fat and sugars aren’t showing up because they are both zero. It may not be just two ingredients but these bagels are worth it! Without yeast, I never knew there was self-rising flour existing until now. Thank you for the wonderful tips, I think I would make mine with rosemary and parmesan cheese!